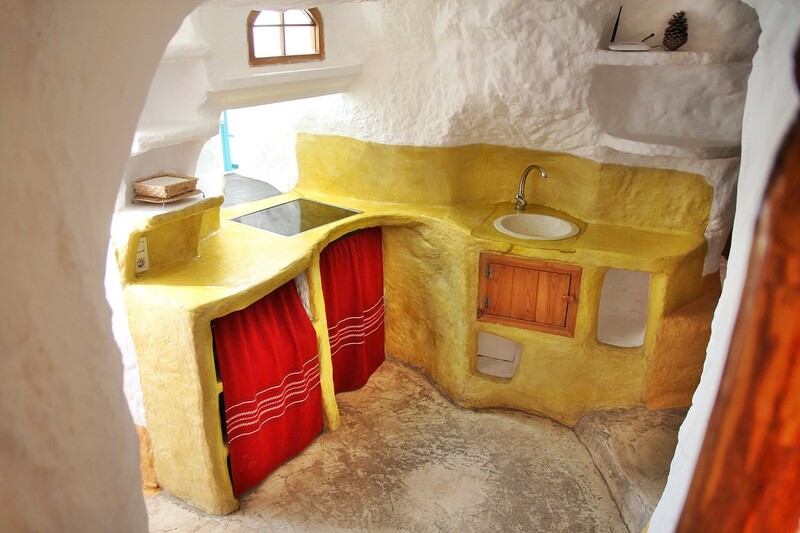 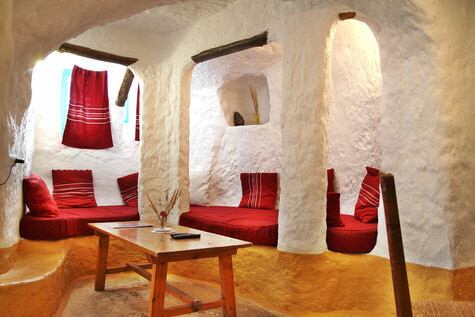 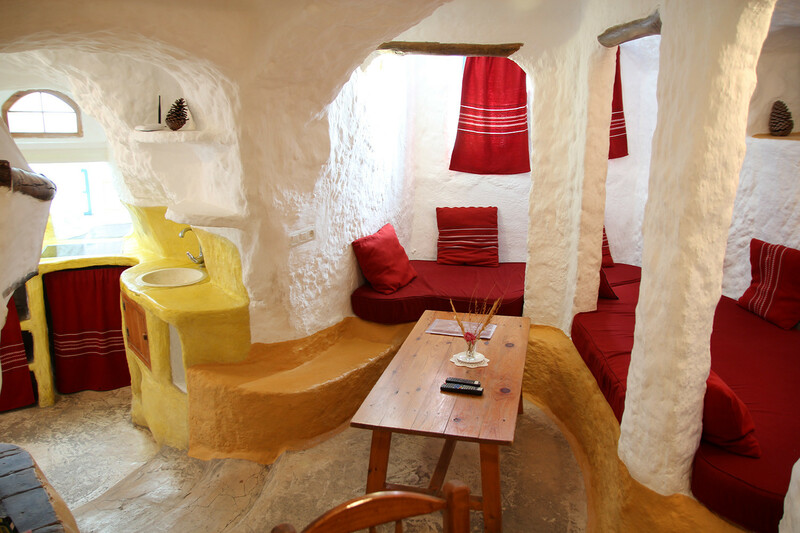 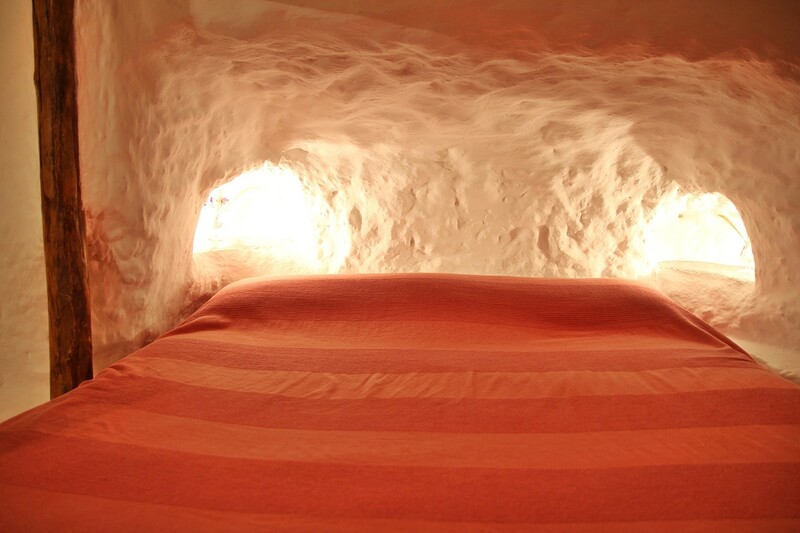 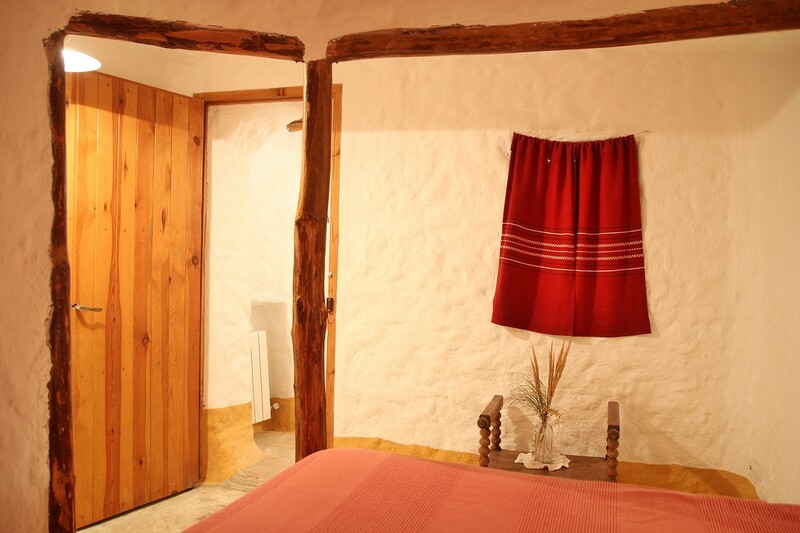 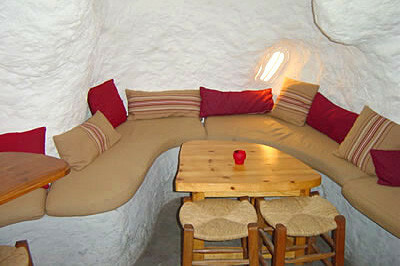 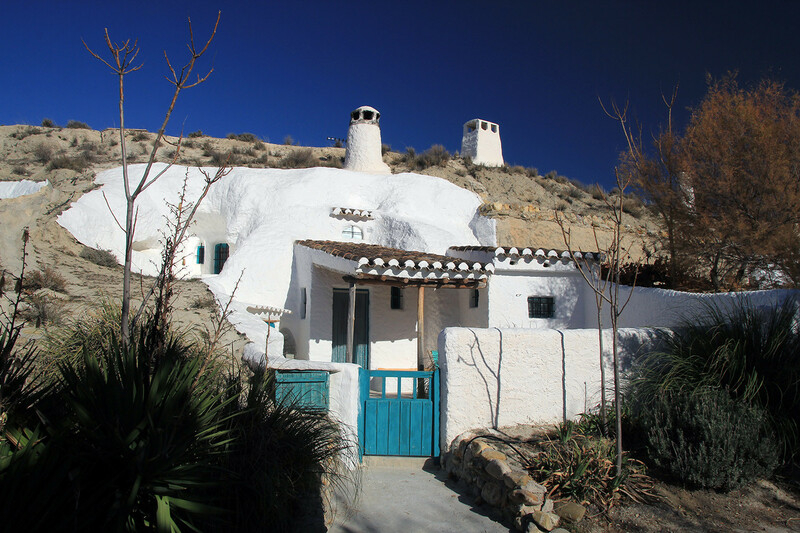 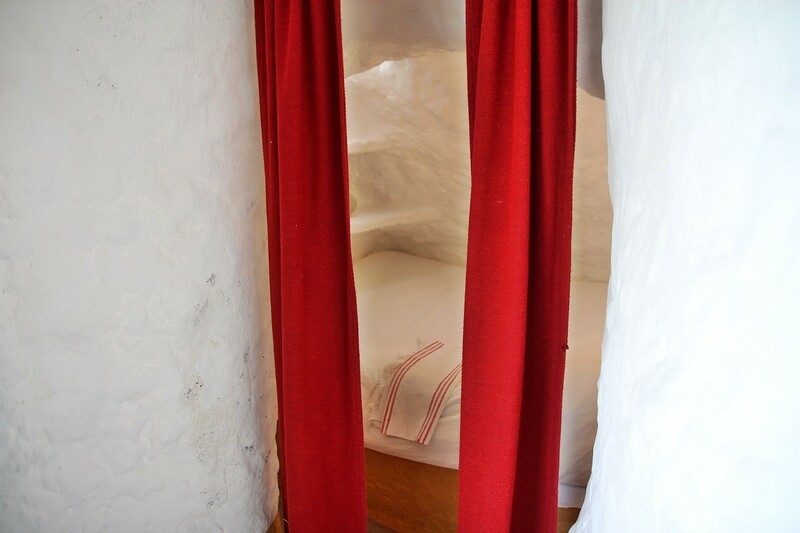 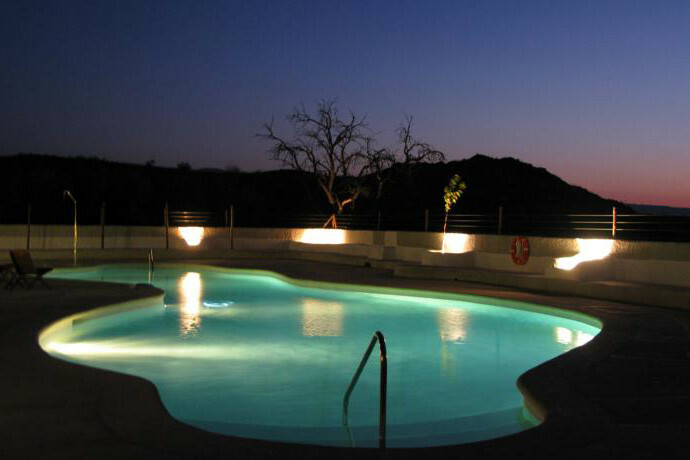 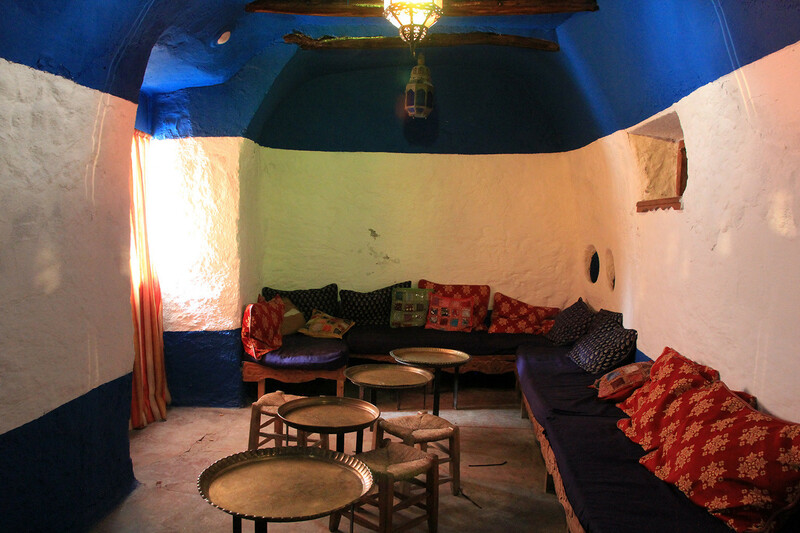 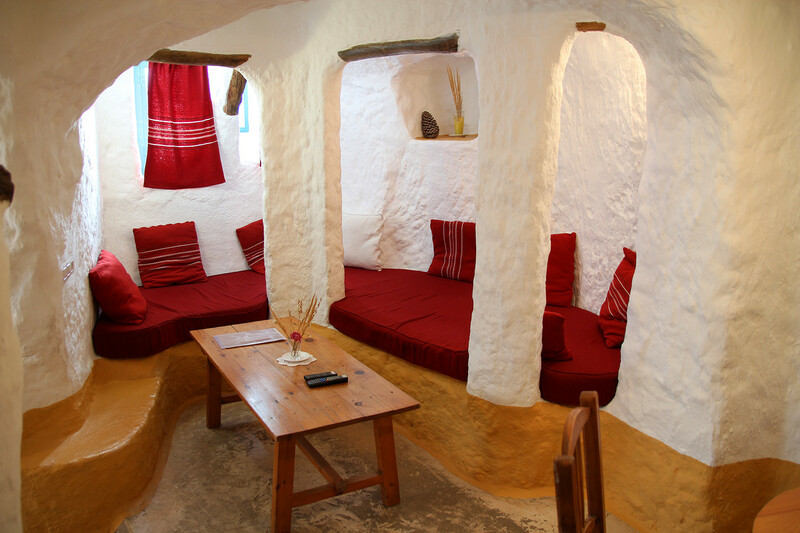 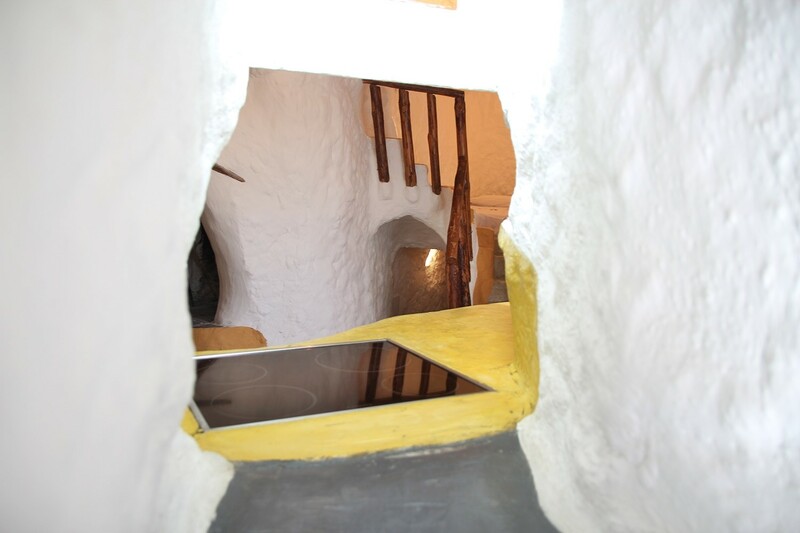 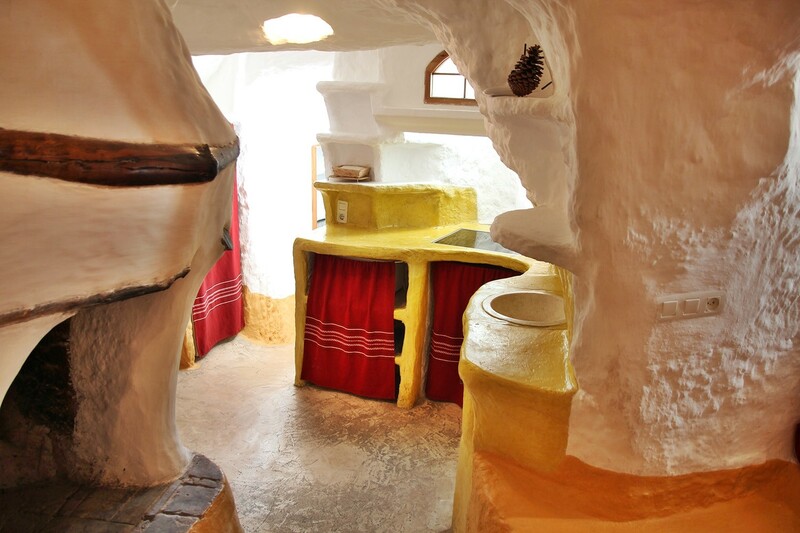 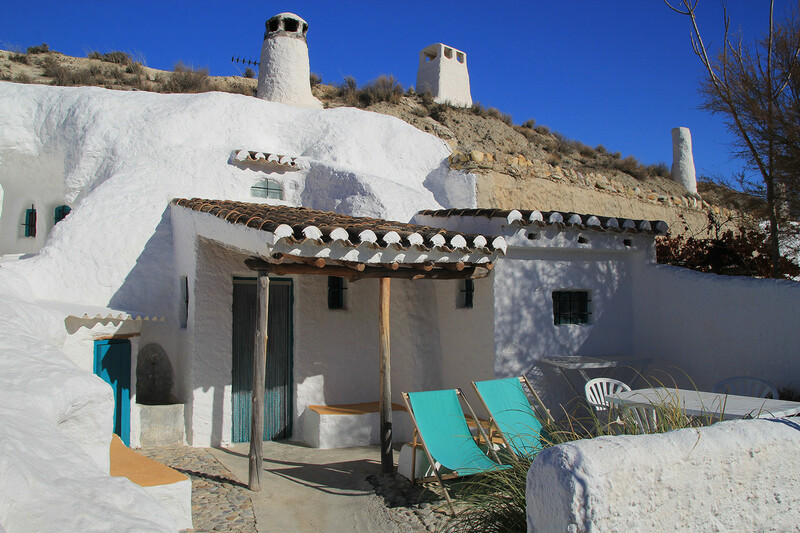 The cave house is part of a small cave complex, which is situated in the countryside of Baza. 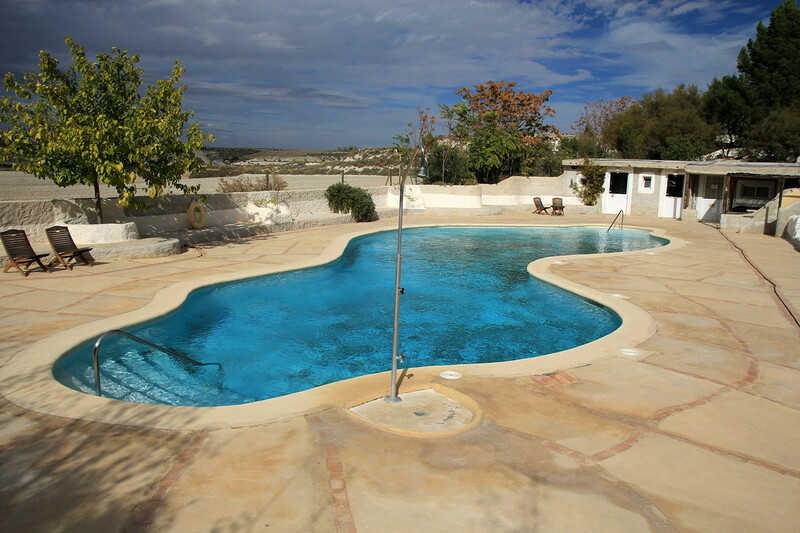 It has three bedrooms, a living-dining room, a kitchen, a bathroom and a sun terrace. 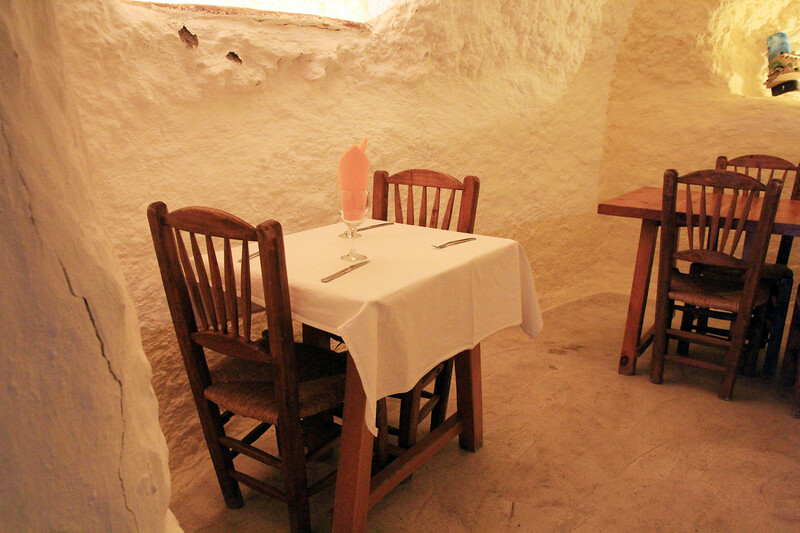 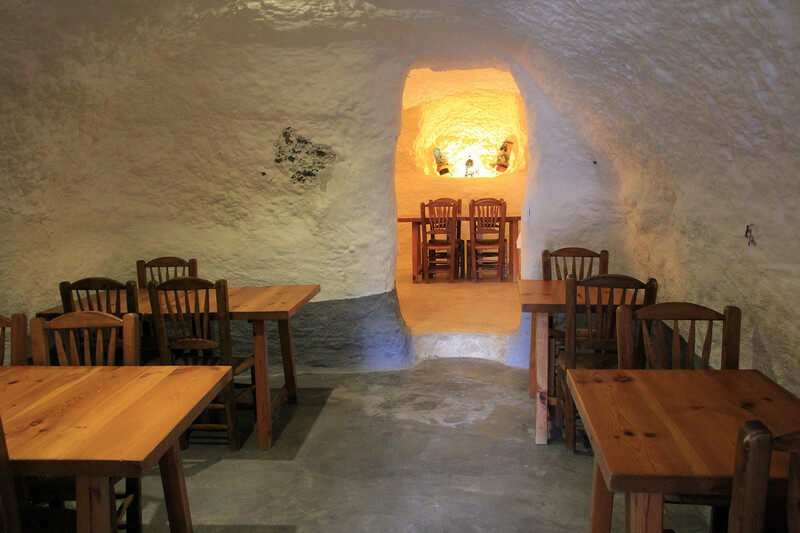 The complex itself has a cave bar, a tea room and a cave restaurant. 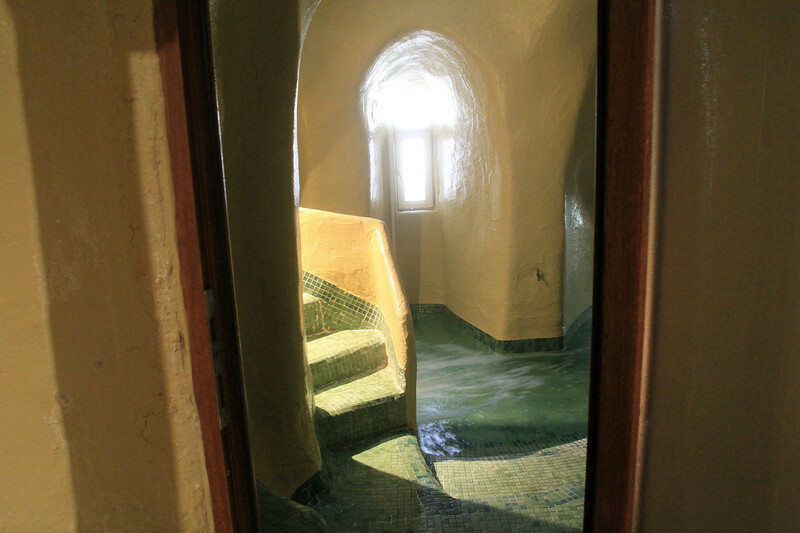 You can also take an Arab bath (a hamman) or a massage in order to relax totally. 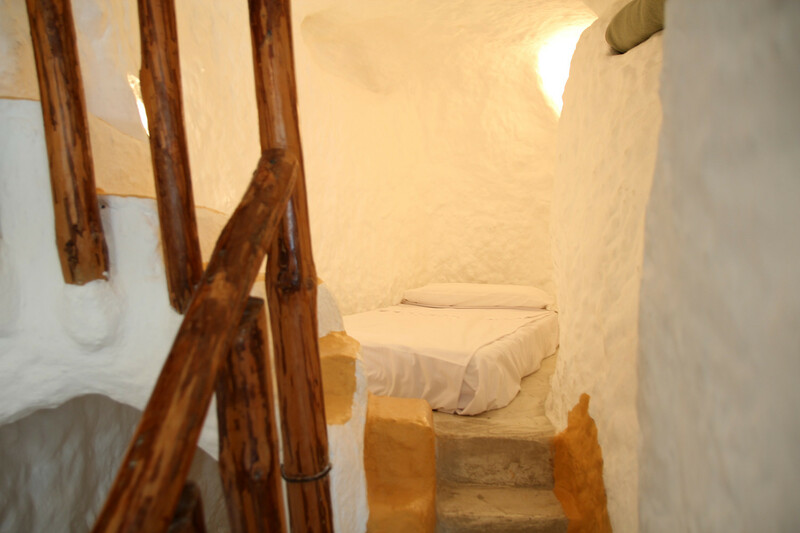 These services are offered for an additional fee. 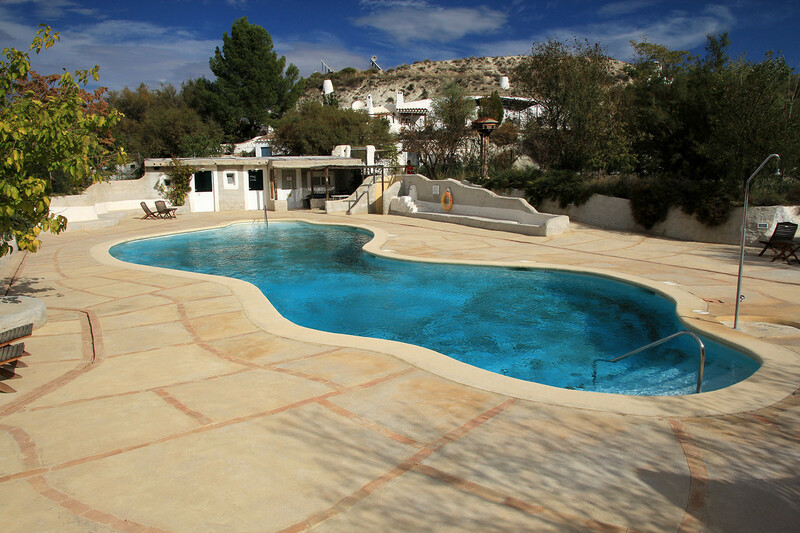 In front of the complex is a big communal swimming pool, which is open from June till October, depending on the weather conditions. 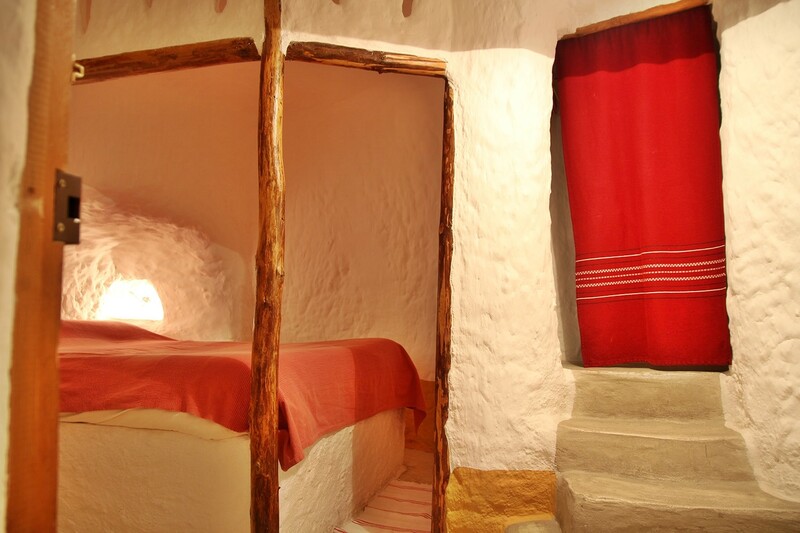 The cave house is part of a small cave complex, which is situated in the countryside of Baza. 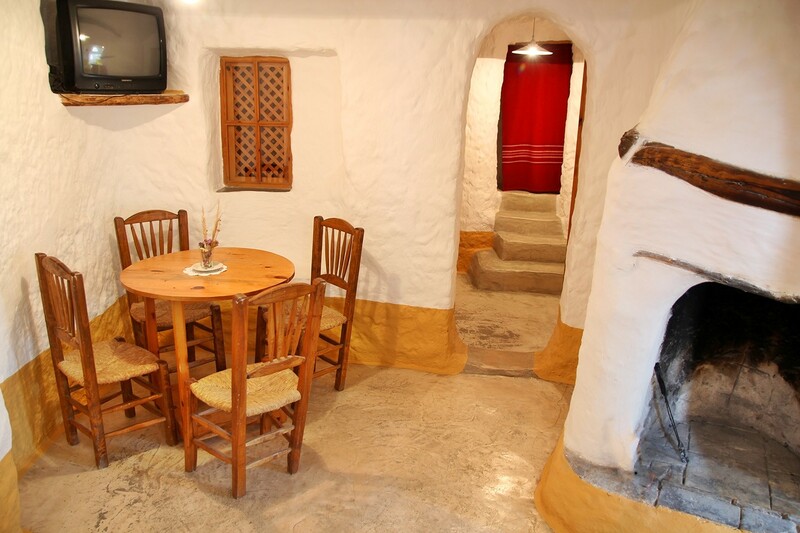 It has two double bedrooms, one single bedroom, a living-dining room, a kitchen, a bathroom and a sun terrace. 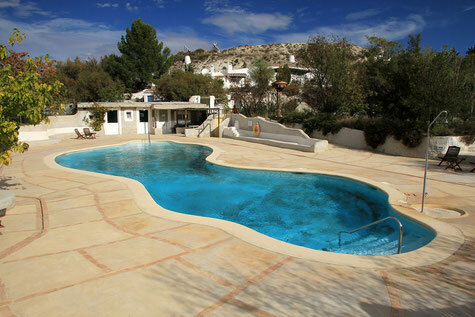 Enjoy the big communal swimming pool, which is open from June till October, depending on the weather conditions. 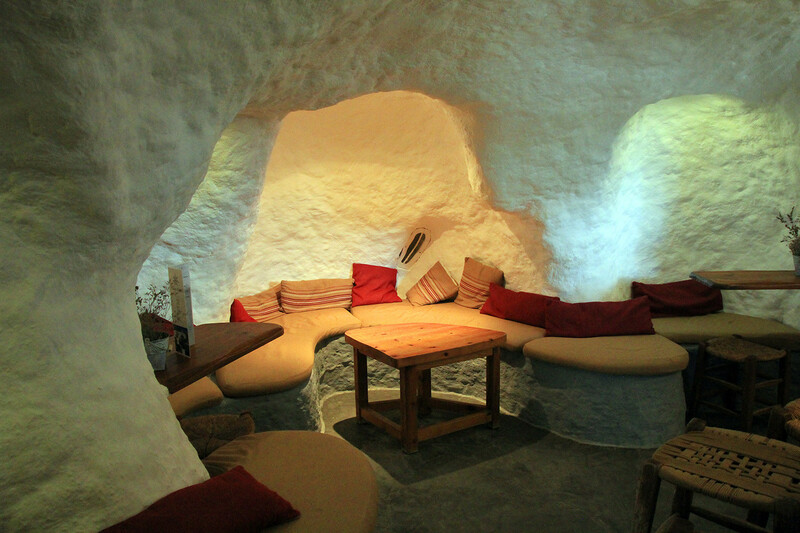 The complex itself has a cave bar, a tea room and a cave restaurant. 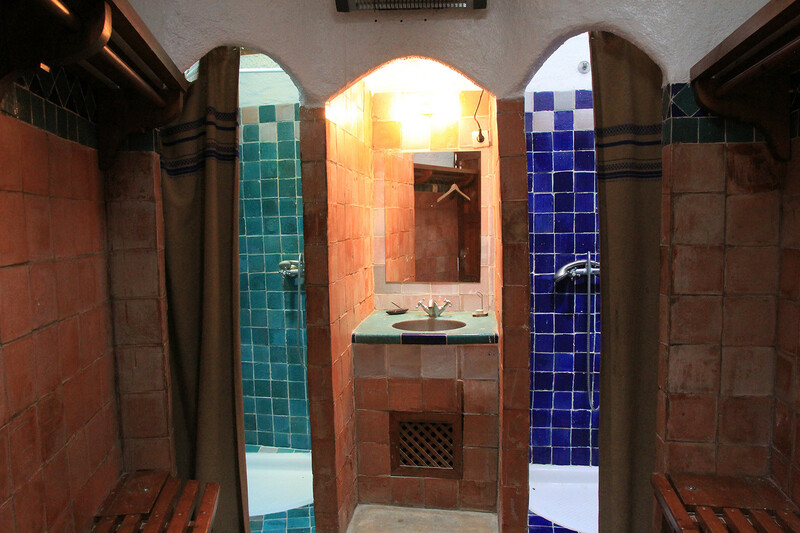 You can also take an Arab bath (a hamman) or a massage in order to relax totally. 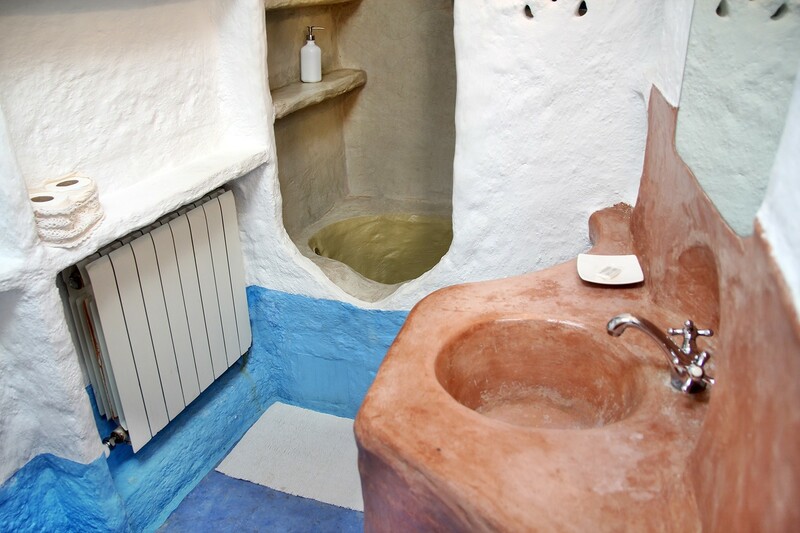 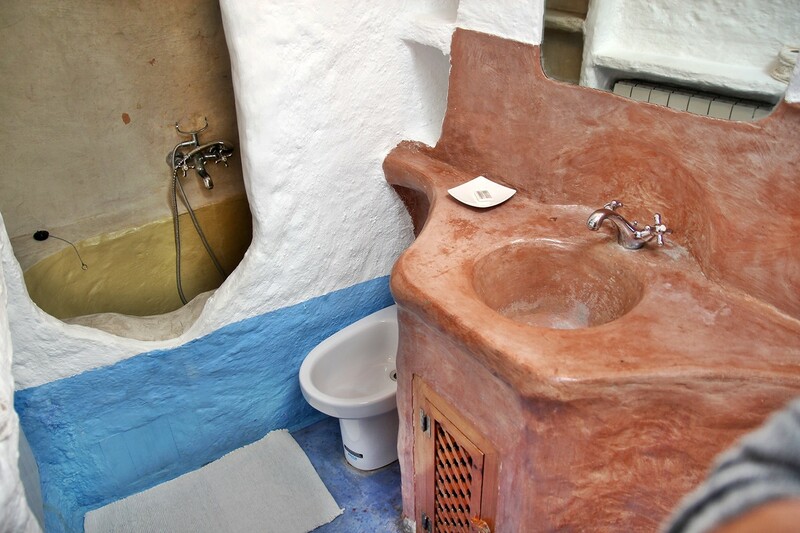 This hammam is constructed completely in a cave and in the hamman are changing rooms for ladies and men, a hot bath, a warm room and a cold bath, a natural solarium and a massage room. 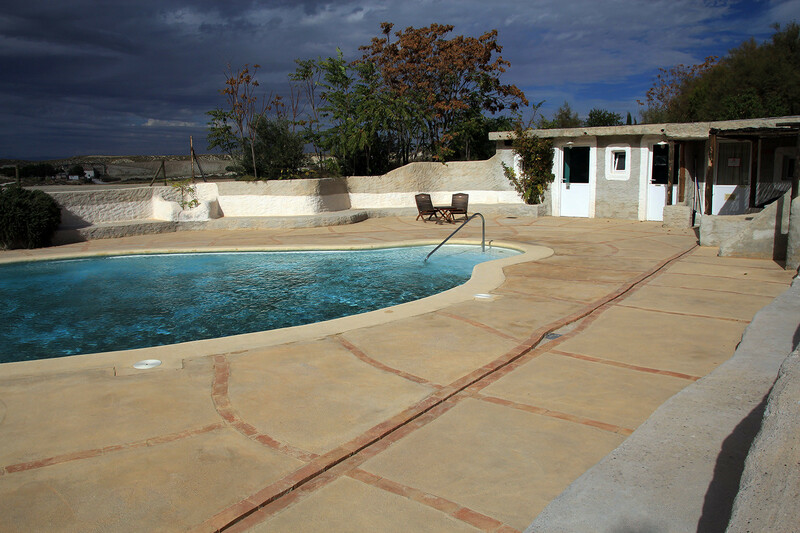 These services are offered for an additional fee. 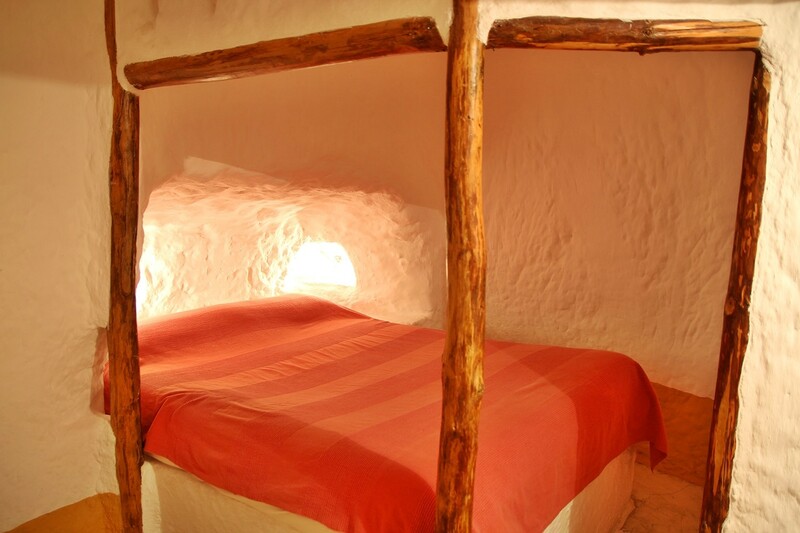 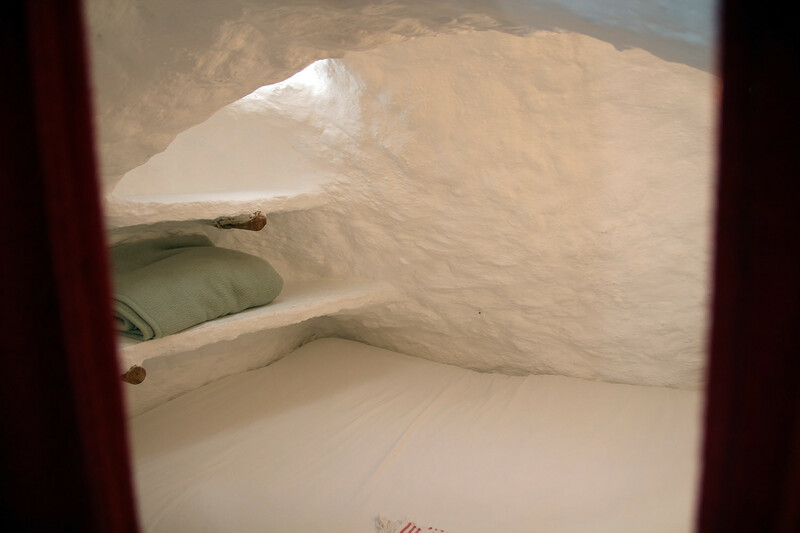 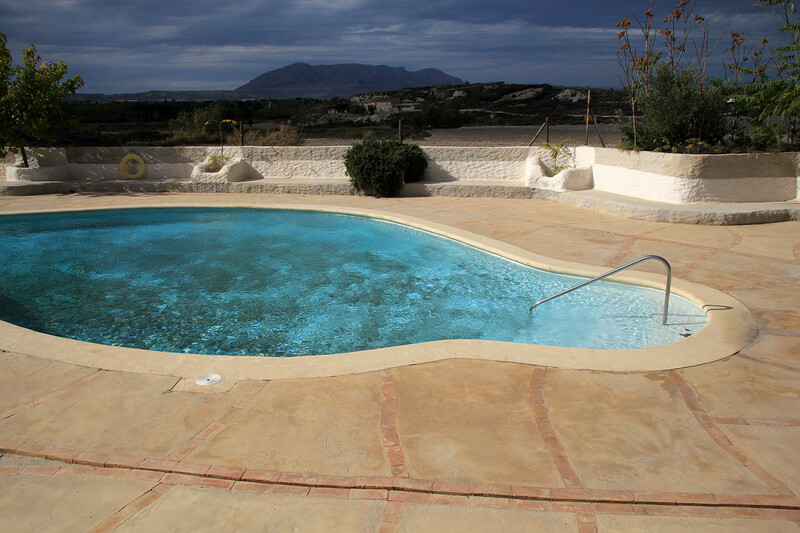 This place is an ideal basis if you want to have romantic stay and enjoy the beauty of the Altiplano.